In a country of six million people with over 800 different languages, Papua New Guinea cannot be compared with any other country for its rich cultural diversity. 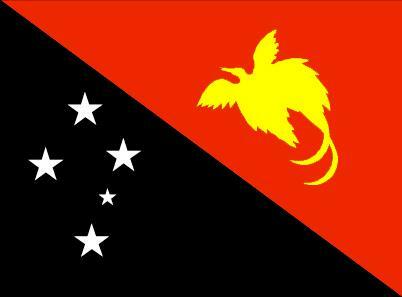 There is no such thing as a typical Papua New Guinean. More than 200 cultures, each with different traditions, have been identified. The impact of modernisation brings daily change to Papua New Guinea, but the majority of people, whether they be from the Highlands or the Coastal regions, remain dependent on subsistence farming and live in small villages. Much of the inherited social structure, from matters affecting gardening to marriage and death, remains unchanged. The responsibility for the day to day work of gardening and caring for children and animals still lies with the women. Social units are based on family, clan and tribe. Ownership of material wealth is vested in the household and controlled by a male elder. Wealth was not traditionally accumulated for its own sake, but so it could be given away, with elaborate ceremony, creating prestige for the giver and placing obligations on the receiver. Fundamental to the society were notions of reciprocity and family obligations. This still holds true in today's society. Ancient rituals are still performed for important social events. These elaborate ceremonies are normally presided over by the elders of the clan, with warriors painted and decorated in bright colours, feathers and shells. Today each of the twenty provinces has its own cultural festivals and regional shows where groups are invited to perform and visitors have the opportunity to glimpse the many visual and performing arts of Papua New Guinea. The most popular shows include the Hiri Moale, held in Port Moresby every September, the Mount Hagen show, held annually in August and the Goroka Show, every September, which attracts tourists from all over the world. Papua New Guinea's art forms are as diverse as they are distinctive. In a country where language varies from village to village, it can be expected that artistic expression will differ in style just as dramatically. Pottery, weapons, carvings, basketwork, musical instruments are produced by different people in different places, according to their traditional skills and beliefs. The Waigani area of the National Capital District is home to the impressive Parliament House building and the National Museum and Art Gallery, which exhibits one of the finest collections of primitive art in the world. Sepik River carvings, Malagan masks and Trobriand Island fishing vessels are just some of the unique examples of Papua New Guinean culture on display. Parliament House building is constructed in the style of a traditional Sepik River Haus Tambaran, or Spirit House. Artists and craftsmen from villages throughout PNG were brought together to work on the impressive carvings, mosaics and murals. The result is a magnificent testimony to this culturally diverse and fascinating nation. Papua New Guinea artefacts and handicrafts can be purchased from individual artists and retail outlets in towns and villages. The Faculty of Creative Arts at the University of PNG at Waigani is also an excellent source of paintings, pottery and etchings. Contact the Provincial Tourist Office, located in each of the provincial headquarters for details of the best places to view and purchase local handicrafts and artefacts. For a chronological history of Papua New Guinea please visit Worldstatesmen. Whilst not all events are listed accurately the site does contain some very interesting facts including listings together with images of the various flags used over the past couple of hundred years. the Online PNG Business Directory.